The G7 BR2500 by Gunwerks, is the latest iteration of the popular BR2 ballistic rangefinder. It uses a more powerful laser and tighter beam divergence for increased ranging accuracy and capability. The G7 BR2 claimed its place as the world’s first laser rangefinder with an integrated ballistic solver six years ago. It offered one-button speed and convenience, and was quickly adopted by hunters looking to increase their effective range. I stuck with what I had at the time, but several of my friends started using the BR2. When Gunwerks announced the BR2500 in the summer of 2017, the listed beam divergence and maximum range got my attention. That kind of laser performance, coupled with an integrated ballistic solver, would make a powerful tool for long range hunting. I started looking forward to getting my hands on one to see what it would do. This won’t be a comparison to the original BR2. I just don’t have enough experience with one to do so. The bulk of this review will focus on laser performance testing and practical field use results. If you missed our preliminary review, or want to see a demo, be sure to watch this VIDEO. Testing the BR2500 in Wyoming. The ergonomic design of the BR2500 feels good in your hand. It’s attractive, rugged, and easy to control. The housing measures 5.2” x 4.5” x 2.1”, has a built-in ¼”-20 socket for tripod use, and weighs 14 ounces. Its design encourages a steady, two-handed hold, but allows a secure grip with one. It has aggressive rubber armor all around to help hold on to it, even with wet, slippery hands. The armor looks like it would do a pretty good job of protecting it if dropped. It uses a 7×26 monocular optic, with focus adjustment ring and three-position eyepiece. To my eye, it has a slight greenish-blue tint, but good contrast and overall clarity. We had no problem discerning targets from background, even when they were the same color. The ocular lens has a tethered cap to protect it. The lenses were easy to clean, and didn’t seem to attract dust or moisture. It’s powered by one CR123 battery that’s serviceable without tools. It ships with two in the box, and is rated for eight hours of use. The entirety of this review was done with two batteries. I replaced the original as maintenance just before the last three weeks of heavy use. The included carrying case is one of the best I’ve seen. Heavily padded cordura, a weatherproof zipper, and a Hammerhead Gear Keeper retractable lanyard help protect the BR2500. The loops on the back of the pouch can be used with a belt or attached to pack webbing. I hooked mine to my pack with a carabiner for easy access. As of right now, models sold in the U.S. measure in yards only. 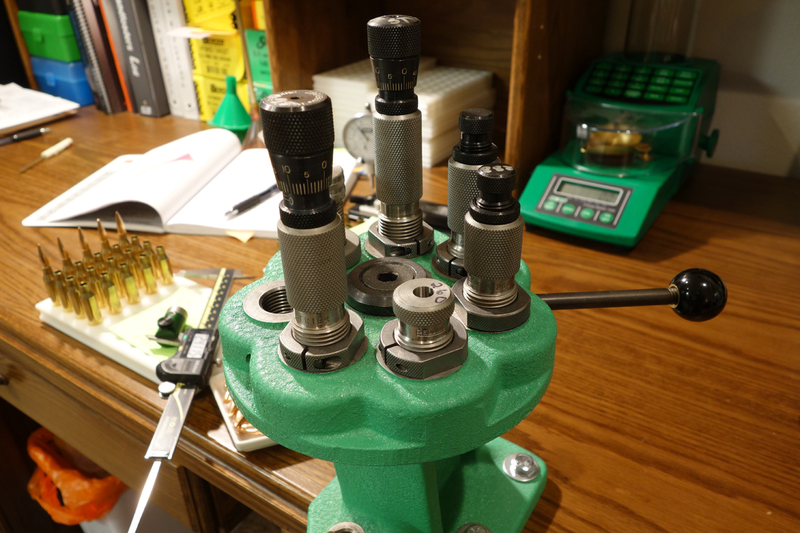 There is a metric version available for export, and the folks at Gunwerks told me they may soon offer it to U.S. customers. Pointing out a target to my spotter. Its LCD display can be adjusted for brightness according to conditions. The four buttons that control everything on the BR2500 are easy to manipulate, even with gloves on. Like any other device that uses a combination of key strokes or button presses to program, the BR2500 has a learning curve. The different measurement modes and ballistic profile editing are controlled by pressing a combination of all four buttons. I won’t spend a lot of time on how to operate everything, but I recommend studying the manual carefully. It has everything in it that you need to know. It’s simple to operate after you get it all set up—just press the big button with the G7 logo on it. That wakes up the unit and controls the laser. After you wake it up, the rear arrow button can be used to adjust the brightness of the display. We had no problem reading the display under all conditions. My only complaint is the aiming reticle’s outline is as thick as the center aiming point. It tends to overpower the target when the display is at its brightest setting. The mode button controls a bunch of the programming, as well as the four available targeting modes. A short press with the unit active will transition it to range in basic, scan, nearest, or furthest modes. Other than making sure they all worked, the only one I really used during the review was the basic mode. Your hunting style might dictate using one of the other modes, but as you’ll soon see, the laser performance of the BR2500 won’t. The BR2500 has a laser beam divergence of .75 x 1.5 milliradians. Beam divergence is an important factor with laser rangefinders. The smaller the divergence, the more accurate we can be when trying to isolate a target. A beam of .75 x 1.5 mils measures approximately 27” x 54” at 1000 yards. That’s excellent performance from a commercially available rangefinder, and exactly half the divergence of its predecessor, the BR2. The beam is horizontally aligned, twice as wide as it is tall. The reticle used to aim the laser is a bold, red rectangle that illuminates as soon as the unit is activated. The interior of the rectangle represents the laser. One of the things I do during a rangefinder review is check the size and alignment of the reticle. It was during this test that I found the only defect in the BR2500. The beam of the laser was aligned with and overlapping the lower left corner of the reticle. It didn’t affect performance, but only because I knew where the laser was in relation to the reticle. I contacted Gunwerks about it, and offered to use the rangefinder for the remainder of the review as it was. They counter-offered with a new BR2500 sitting on my porch two days later. The replacement unit’s reticle was perfectly aligned with the laser. The crew at Gunwerks is top notch, and has been great to deal with, both in communication and service. I had enough time with the original BR2500 to report that they both performed similarly. That’s saying a lot, considering reports of varying performance from some of their competition. The BR2500 is advertised to range targets from 10 to 2500 yards. Most consumers in the market for a rangefinder like this are more interested in the latter number. However, a lot of rifle hunters participate in archery hunting to extend their season. The BR2500 is certainly capable of close-in work. Mine consistently ranges targets as close as six yards. When the measurement mode is set to Range Only, the line of sight distance is displayed, followed by the true horizontal distance. Also, the housing design and fire control button allow easy one-handed operation from either side. 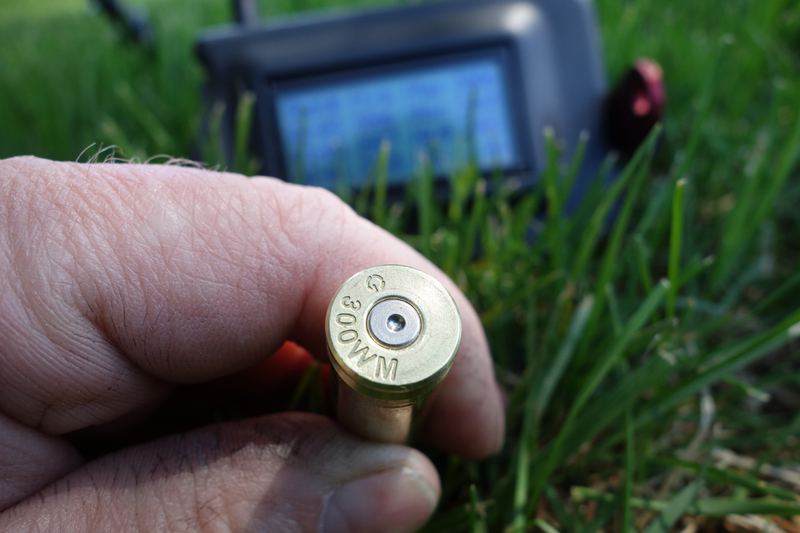 With favorable environmental conditions, I was able to range targets with the BR2500 out to 2700 yards. Even under difficult conditions, the laser performance was impressive. Laser rangefinder testing tends to be somewhat subjective. Target quality and environmental conditions have a huge influence on test results. 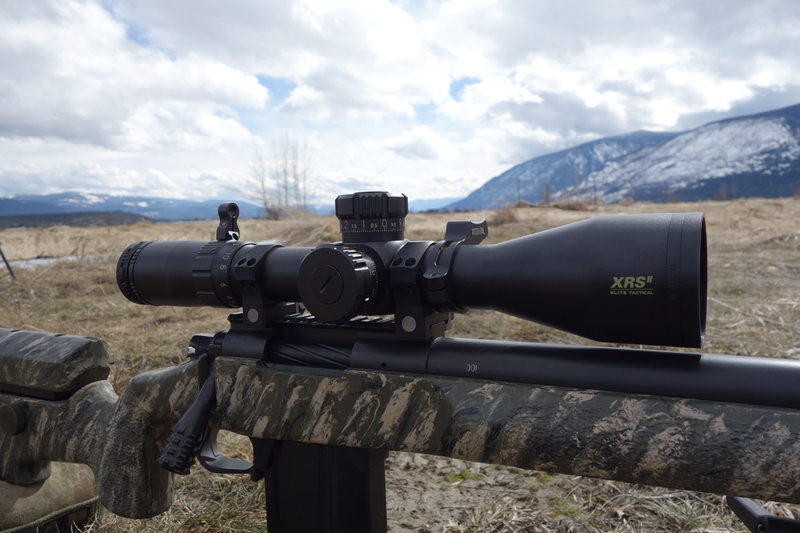 The BR2500 is designed and marketed primarily as a ballistic rangefinder used for long-range hunting. As such, my testing during this review focused on targets found in the field during a typical fall hunting season. Targets included animals, rocks, brush, tree trunks, conifer canopy, stumps, and dirt patches. The first two days of testing took place during terrible air quality conditions from local forest fires. The BR2500 had no problem punching through the thick smoke. If I could see the target in the reticle, the laser would give me a return. Smoky skies returned toward the end of the review, this time from logging slash burns. Like before, I had no issues with laser performance. The furthest return was 2700 yards. The target was the root ball of a tree, lying on a snow-covered slope. The sky was overcast with clear air, and the BR2500 was supported on a tripod. I was able to get multiple returns on this target. The furthest animal ranged was a domestic cow at 2161 yards. The conditions were overcast sky and hazy air. A tripod was used, and multiple returns on the cow were obtained as it grazed broadside to us. 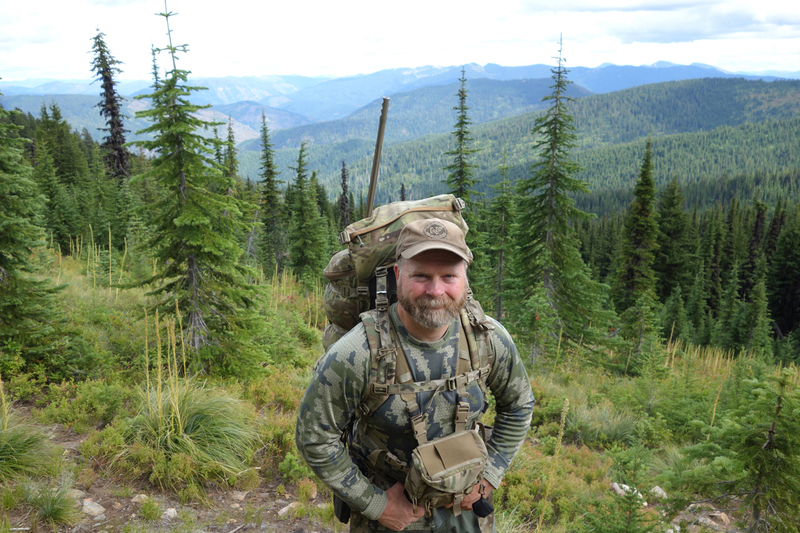 On a hunt in September, we ranged several black bears from 680 to 1534 yards. We also ranged a cow elk that was feeding on a fire road perpendicular to us. It gave us an excellent opportunity to confirm the BR2500’s accuracy by alternating between the elk and the road bank. The elk was ranged at 1402 yards, with the bank two yards behind her. We did this for several minutes, with a 100% return rate. This was done with the BR2500 on a tripod, and an overcast sky. We ranged dozens of antelope in Wyoming from 460 to 1384 yards. We also found some cattle to play with at 1760 yards. This testing included a mix of handheld use, prone next to the rifle, as well as tripod supported. I was hoping to find some goats further than that, but they were uncooperative this year. I did record some hits on sagebrush at 1830 yards, and a fellow hunter at 2030 yards. We recorded multiple returns on solid tree canopy, with direct sunlight on the target, at 2130 yards. This is surprising, which is probably why I noted it. A herd of cows provided ELR ranging opportunities. I had the opportunity to test the BR2500 in heavy fog, snow, and rain several times in November. It performed much like it did while ranging through smoke; if I could see the target, I could range it. Prolonged, moderately cold temps didn’t affect its capabilities, either. Several storms came through in mid-November that brought plenty of precipitation, alternating between rain, snow, and fog. I had no issues getting returns on deer in these conditions. On one occasion, we were watching a doe on the edge of the timber 720 yards away. We spotted a buck approaching her from the tree line just as it started to snow. The snow eventually increased enough to make it impossible to tell buck from doe, but the BR2500 kept giving returns. The speed of returns varied from nearly instant at moderate ranges, to a few seconds at its maximum range. The BR2500 has an accuracy specification of +/- 1 yard. We have several known distance target locations we use to compare and test ballistic solvers and laser rangefinders. We also spent a fair amount of time shooting targets ranged with the BR2500. I found no reason to doubt its accuracy. I also noticed that the returns were very stable. They didn’t vary by more than a yard or two on the same target, even at the extreme ranges. The BR2500 is a ballistic rangefinder that uses onboard sensors to measure air pressure, temp, and inclination. When used in Range Only mode, the display will show the range to target, followed by the true horizontal distance. This function is limited to 1400 yards. The BR2500 can also display atmospheric and inclination values to be used in a separate ballistic solver. To display these values, the forward arrow button is used to scroll through them after the fire button is pressed. Horizontal and line of sight distance is displayed first, followed by inclination angle in degrees. The next value shown is temperature in degrees Fahrenheit, then station pressure in inches of mercury. The last value given is an approximate altitude based on pressure and temperature. I tested the accuracy of the air pressure and temperature values several times against a Kestrel Elite weather meter. As usual during testing like this, there were small, inconsequential differences between the readings. However, the BR2500 suffers from the same slow temperature refresh rate that other devices like it do. During one test, it took 62 minutes for the sensor to adjust from 69° to 43°. I would recommend leaving it exposed to conditions that most closely match the conditions you’ll be using it in. The most valuable function of the BR2500 is its built-in ballistic solver. Using custom ballistic profiles, it will provide corrections for shots to 1400 yards. Those corrections can be displayed as BDC (Shoot-to Range), MOA, MRAD, or inches of drop. You can build, store, and edit up to five separate ballistic profiles. The common inputs used include G1 or G7 drag standard, ballistic coefficient, muzzle velocity, sight height, and zero distance. Additional inputs are turret temperature and turret altitude, for use in BDC correction mode. Once the profiles are built and saved, all atmospheric and angle inputs are factored automatically. Just range the target, read the correction in the display, and adjust accordingly. It’s fast and simple. For the review, I built profiles for my 260 Remington and 260 Terminator, both firing the Hornady 143 grain ELD-X. I set the correction format to display in MOA. Before I started hunting with the BR2500, I used a Kestrel Elite and BulletFlight (M) to compare corrections. I used the BR2500 to measure atmospherics for use in both solvers, then disabled updating on the Kestrel. For all simulated shots to around 1000 yards, the three solvers displayed corrections to within .2 MOA of each other. For shots to the max range of 1400 yards, all solvers agreed to within .2 MOA depending on target direction. Firing to the north or south was no problem. If the target was east or west of my location, the effects of Coriolis caused an elevation discrepancy of .4 MOA. The BR2500 doesn’t have the means to measure or adjust for target orientation. Full-value wind corrections to 30-mph, in 5-mph increments, are available by pressing the forward arrow button after the target is ranged. There’s no spin drift calculation. The ballistic profiles can be edited anywhere, at any time. This is particularly useful during trajectory validation. This is a real bonus with the BR2500. It doesn’t rely on memory cards, internet or cell service, or cables of any kind. It’s completely self-sufficient. Once you learn how to manipulate the control buttons, profile editing is as simple as it gets on a ballistic solver. Any part of any of the five profiles can be changed independently. Be warned, though; once you’re done editing or switching profiles, it can take up to 14 seconds to save it. Don’t mess around with it while targets are active! My reviews always include testing for how well a given product holds up to conditions faced while in the field. In the jungles of North Idaho, that means it’s going to get wet and cold. Besides camera gear, everything I carry into the woods is rated waterproof when submerged in one meter of water or more. The BR2500 carries an IP-55 ingress rating, which basically means it’s protected from dusty conditions and low-pressure water intrusion. The exact description is “protected from low-pressure water jets from any direction”. I’ll admit to being somewhat skeptical about how well the BR2500 would handle our November deer woods. It ended up shrugging off every test I threw at it. I worried mostly about condensation. How would it handle coming from a cold, wet environment into a warm, humid environment? Like a wood-heated wall tent after sitting in November rain all day. That’s tough on electronic gear, especially when exposed to it for several consecutive days. I usually store my optics, electronics, and camera gear in the truck overnight. My first test was to leave the BR2500 out in my yard overnight during a snowstorm. The temp stayed at 31° for a 13-hour period. Then I brought it into my 70° house and let the snow melt right on top of it. No problem. We had some miserable days hunting in November, which made for great opportunities to test waterproof ratings. I exposed the BR2500 directly to the elements every day I hunted, including leaving it out of its case. I stored it in the wet case overnight, inside my wet pack, inside the humid wall tent. No problems there, either. I just wiped the lenses as needed, and kept using it. The BR2500 stood up to every test we threw at it, and delivered on its advertised capabilities. I wouldn’t hesitate to recommend it to anyone looking for a ballistic rangefinder. The skeptics in the audience are always suspicious when a review doesn’t have something bad in it. It’s tough to find bad things to say about this rangefinder that don’t involve personal preference. I’ll throw you a bone by saying I’d prefer a different reticle. The thickness of the rectangle’s outline is the same as the aiming point. I’d like to see a finer border. Most of my long-range shooting in 2017 was done between 400 and 1900 yards. The longest shot we took on an animal was 820 yards. With a performance ceiling of 2700 yards, the BR2500 handled that distance bracket with ease. The advantage of having that much power is the reliability it delivers when ranging targets that are much closer. The BR2500 delivered first-try returns on targets at practical long-range hunting distances with boring regularity. We pressed the fire button hundreds of times on animals from 300 to 1500 yards distant while hunting this fall. It never failed to give us a return at those distances. The best qualities of the BR2500 are it’s simple to use, accurate, and durable. What more could you ask for? For more information, or to order a BR2500, visit the Gunwerks website. I’d like to thank Landon Michaels, Aaron Davidson, and the whole crew at Gunwerks for a great experience! How did you figure it out laser beam alignment with reticle? Can you explain how to check the alignment? I use my 100-yard target stand to check them. I have a backstop that’s 4-6 yards behind it. I just start bouncing the laser close to the edges until it reads 106 instead of 100, then I move around the perimeter of the aiming square. Trees, fences, power lines, etc. can also be used. It’s important to use a tripod and smooth head for testing. Awesome review. I’ve been using the previous version of the GW rangefinder (G7 BR2) for several years. I have really enjoyed using it. Your review was spot on with my own experience using the BR2. There’s nothing to update about. I still have the BR2500, and it’s still working great. It’s a solid choice for the features it has.